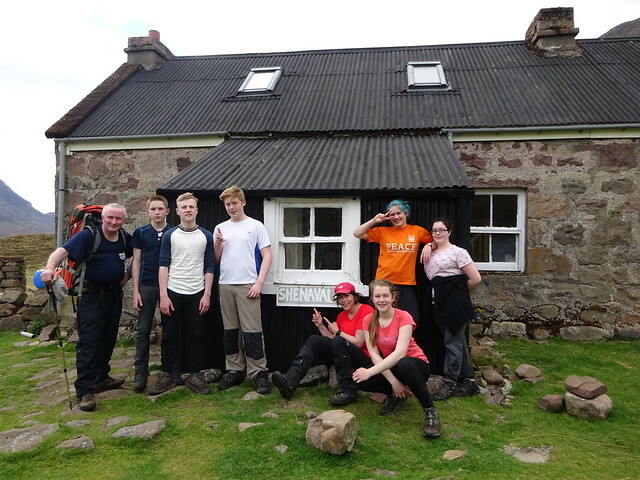 Many of Gairloch High School’s pupils work towards, and achieve, the Duke of Edinburgh’s Award. The DofE is the world’s leading youth achievement award, giving millions of 14 to 24-year-olds the opportunity to be the very best they can be. Pupils take part at either bronze, silver or gold level and choose their own activities in volunteering, physical and skill. The school has also facilitated pupils taking part in expeditions at all levels. Recent expeditions have been on foot and canoe in the Cairngorms, North-West Highlands and Lochaber. The Duke of Edinburgh co-ordinator is Dr Close, who is assisted by other members of staff and volunteers to run expeditions, assess skills, physical activity and volunteering components. Some photos from our recent expeditions below. For more, see the DofE tag on Flickr.